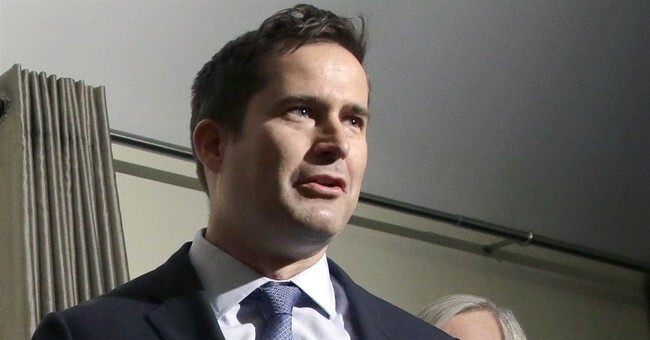 Rep. Seth Moulton (D-MA) told Buzzfeed News Monday that he’s considering running for president in 2020. This “new generation” of leaders is something that Moulton was banking on since last year. In the past, he took that stance to go after House Speaker Nancy Pelosi. He called for new faces to take over Pelosi’s role; people who he thought could better represent the values of progressive identity-politics. “We need to make room for a new generation of leaders," Moulton told Boston Public Radioon Nov 30, 2018. "This election was a call for change from the American people, and we have an extraordinary freshman class that includes a lot of young people, LGBT candidates and an extraordinary number of women and veterans." Moulton received 17 signatures in a letter he posted to Twitter on Nov. 14 of that year. But the representative faced plenty of backlash from Democrats. Rep. Alexandria Ocasio-Cortez (D-NY) accused him of trying to bring conservative ideals to the party. Activists protested at a town hall meeting in Massachusetts on Nov. 20 against Moulton’s actions, calling him sexist and ageist. Moulton went on to vote for Pelosi as speaker, after she announced that she would step down in 2022. While Moulton has yet to announce what issues he specifically wants to target if he decides to run for election, his website lists his stance on issues over his career. He believes that healthcare is a “human right,” wants to ban the sale of “weapons of war” to citizens, supported Former President Barack Obama’s Clean Climate Agenda, and desires immigration reform that protects DREAMers.